Outside of Berlin and Munich, one of the largest collections in Germany of early music editions and manuscripts is preserved in the Bischöfliche Zentralbibliothek Regensburg. The library houses its music materials in the Proskesche Musikabteilung, named after its founder, the musicologist, physician and priest, Carl Joseph Proske (1794–1861). The arrangement of its early music materials largely reflects the manner in which they were acquired either by Proske himself or by others. In the course of studying the collection I have discovered some manuscript music materials that have previously been overlooked. The hitherto neglected materials date from the sixteenth and seventeenth centuries and add to our knowledge of the manuscript sacred music of various Continental composers, including Christoph Demantius, Giacomo Finetti, Johann Stadlmayr, Alexander Utendal, Lodovico Viadana, Christoph Thomas Walliser, Friedrich Weissensee and others. 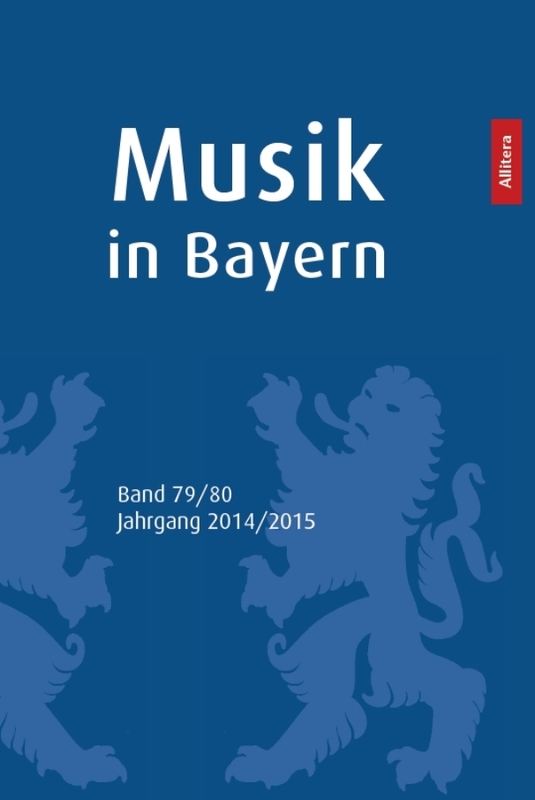 Richard Charteris, Some Overlooked Manuscript Music in the Bischöfliche Zentralbibliothek Regensburg, Musik in Bayern Band 79/80 (Jahrgang 2014/2015), München 2016, S. 7-60. https://doi.org/10.15463/gfbm-mib-2014-103.